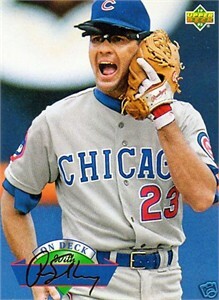 1993 Upper Deck On Deck insert card of Hall of Fame second baseman Ryne Sandberg #D22. NrMt or better condition. ONLY ONE AVAILABLE FOR SALE.